Our tour to Rajasthan, was now about to count the off slogs. We were in a way, happy, but feeling of dry climate and barren lands were not making us feel the thrill of the tour. We started from Jodhpur and we were suppose to reach Udaipur city in 5 hours. 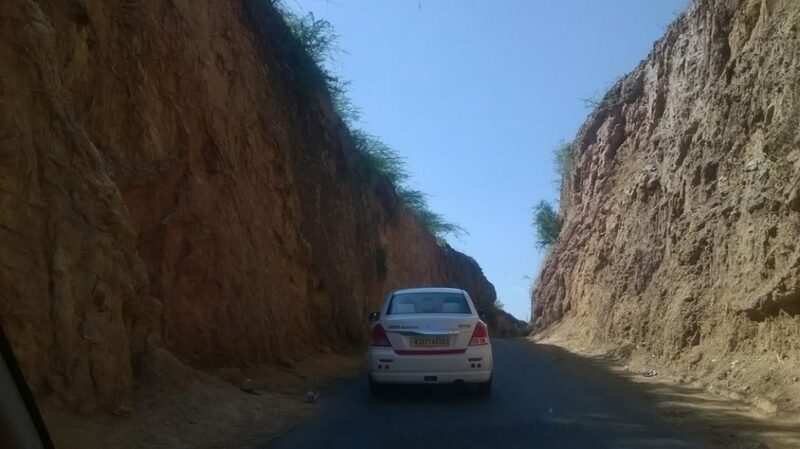 What we started seeing was roads full of natural beauty, new twist and turns and complete romantic turn up of the mood. Udaipur City came to us as a surprise. It is just so fabulous. Long and clear roads towards the city were so enticing. 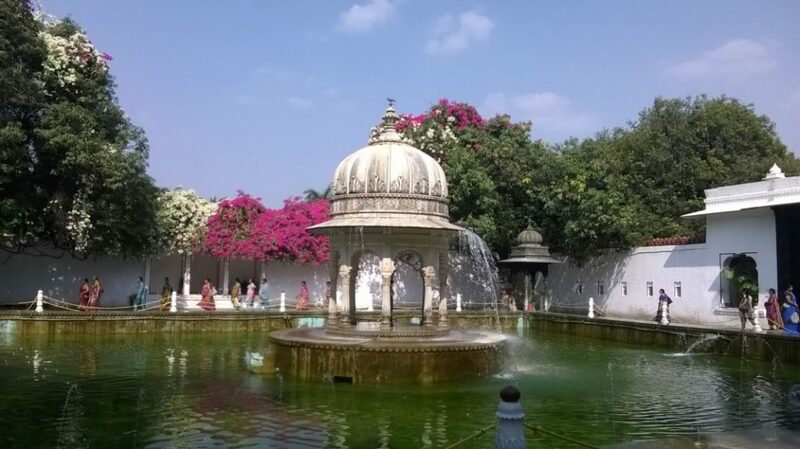 There are so many places to visit in Udaipur. You can spend one complete week here, relaxing and enjoying. There are seven lakes here and Udaipur is also called as city of seven sisters. If you are staying in Udaipur city and not selecting a lakeside resort or hotel, then you are making a big mistake. I was totally enchanted to see our stay just next to the Pichola lake and that too in the old city. It was an old Haveli converted to a hotel. They make the best of ambiance to suit their foreign clients. Already, we reached in the evening and our driver guided us to one among the best places that totally soothes your mood and make a day. It is a hotel and restaurant Ambarai. It is located at lakeside and just the right place to ease out an evening. It was the night of Dev Diwali and Pichola lake was studded with diyas and complete Udaipur city was lighted. It was like lighting the lamps in the darkness, simply implied to our moods. We had the most exotic dinner there. A day cannot be better than this. Our driver suggested us to take dinner at Hotel Ambrai, which has a class to dine. You should get a table reserved before reaching there. One more place, where you can visit grandeur of India. The carvings and detailing of the carvings, reminded us of the Dilwara temples of Mount Abu. You should not leave this place without having lunch, dinner or the ready to eat hot snacks (farsan) prepared here, which is just so pure like the environment here. I really appreciated the people, who were not from India, who were taking keen interest in studying our art and architecture. It was just the right time, we entered the temple. Again the vibrations and Bhajans to open the Darshan of God Jagdish were so pure and serene to touch your soul. Reminded me of the childhood days, when we visited Dakor in Gujarat. It is the first place, where I had questions in my mind that should foreigners, who hardly knows about this Bhajans and Murti Puja be allowed here. For them it is just a wonder to see and visit and guides were conquering an entire place to attend their clients. But on the other hand the thought that in spite of knowing so much, do we respect being Indians, that we expect from others? Rajasthan is full of tales of Kings and queens. Saheliyo ki Baari means garden for female friends. This garden was specially designed for the favorite queen of the King. She used to relax and enjoy with her friends in this garden. There are special fountains and architectures created in the garden to please anyone’s eye. The most interesting thing we found was the range of fountains that used to fly high, when a group of tourists clap their hands together and echo is generated. Udaipur tourist places are flooded with foreign nationals, mostly during the months of october to March. Though, Indians should be careful in treating them and not to harass them by taking pics together or manipulating in prices or trying to touch them. It sounds and looks really cheap. Sajjangarh is holiday home of King Sajjan Singh. It is located at more height than Udaipur, where he used to spend his summer. Once again, it was the time to feel awe, because of the exclusive construction, luxury and royal retreat the kings and queens used to enjoy. The jarokhas of the palace, holiday home inside the building as well as the outer look out is worth watching. Though carvings and other things are destroyed, but it really needs a look out to witness the change of climate. Haldighati is a place, where if you are a patriot, then you will feel a rise in your pride for nation. 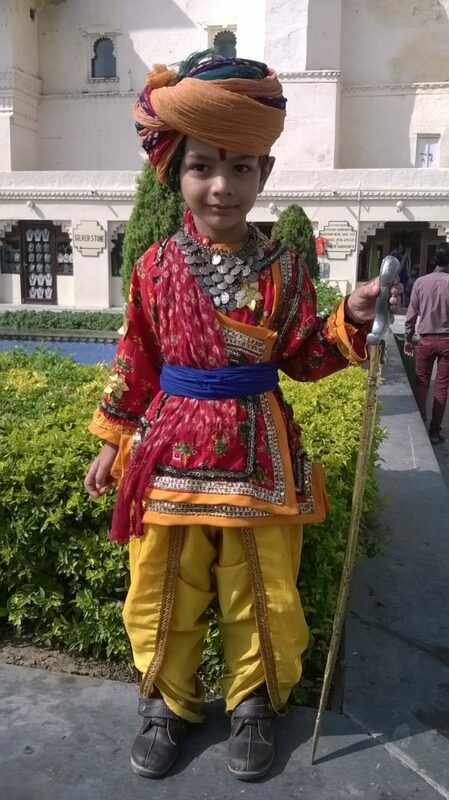 The story of Maharana Pratap, the gallore and the way he loved his mother land can make you feel twice, how a person can leave a luxury life and live a life in jungles to maintain the pride of the existence and respecting independence of individuality. The best part, I liked here was when Mughals were attacking for their queens and many queens of Chittorgarh did Johar to save their chastity, Maharana Pratap returned a Muslim lady with due respect, saying that his fight is for nation and not against woman. Woman are always respectable. One more noticeable thing was, after the narration of the show on Maharana Pratap, they mentioned it that it was not the communal war, but the war for independence and existence. Both the sides, the senapatis were from opposite religions. This is one among the best places to visit in Udaipur. The battle was fought between representatives of Akbar, Maan Singh and Maharana Pratap. You can purchase Gulkand, scents and mouth fresheners at very reasonable rates from here. You got to have lots of strength in your legs and knees to visit this palace. It is so big with so many sections. Still, I feel we forgot one section to visit. Again, Maharanis were having terrace gardens with trees on the top of the palace to enjoy cool breeze. Heirs of Maharana Pratap are still living in one section of the palace. You can pay extra 25 rupees to visit the outer section of the personal palace. We could not visit that section as you got to have lots of guts and stamina. We already spent 4 hours walking in first part of the fort. This palace was built by Maharana Udai Singh. The most dominant part was the Maharana Pratap memorial section, where you can’t refrain from bowing down to such great historical hero of India. Lake Palace Udaipur is one retreat to visit. It has become property of Taj and now known as Taj Lake Palace Udaipur. 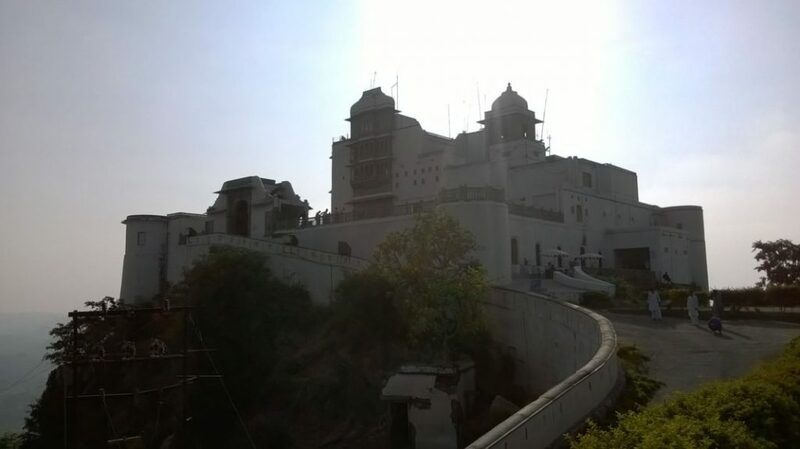 City palace Udaipur has become a real costly affair with purchase of ticket worth 2500/- Indian rupees or taking a dinner, lunch, supper or breakfast there, which will cost you, more than 10000 Rs one time. It can be a good experience with a huge budget travel. The place of trust and faith, Kul devta of Maharana Pratap. It is really a pure place to feel the positivity, though VIP darshan took us too long to get inside. Being an ardent believer in Shrinathji, we preferred to visit Shrinathji over Chittorgarh. It is an ancient temple with a great story attached to it. There was a time when Mughal Emperor Aurangzeb was devastating all Hindu temples. He heard about the Shrinathji temple and decided to invade it. The moment he was to attack the idol of Shrinathji, honey bees from the idol mobbed Aurangzeb and he has to run from the temple. Finally, he asked for the mercy of the God and relief. He was given conditional forgiving on cleaning nine steps in the entrance with his beard. As a greeting, Aurangzeb gifted Shrinathji with a precious diamond, which you can see on the chin of the great God. This is the historical story attached to the temple. Rest depends on the relation and belief of the devotee and the God. Best time to visit Shrinathji Temple is during Navratri days, both the Navratris, the one starting in Chaitra and Aaso. During these nine days, you can actually stand in front of God and worship him. For rest of the days, it is like rush taking us inside and with a push of Mob all come out in a go. We went there specially to see the puppet show. There were lots of specimens available at the museum to keep the tradition alive and the people know the rich tradition of Rajasthan. One of such specimens is the Rajasthani Mehandi designs, which I have posted in one of the previous posts. There are many historical artefacts, which are related to weapons of war, weapons used by tribes, clothes of Rajasthan and many ancestral belongings. This is one more appreciable project of Rajasthan tourism, where they have gathered artists from every state of India. They work on handicraft projects here, the setup is created like a village and the homes are constructed in the same way, it would have been in their own village. The government provides them free homes and in turn they have to display their art and earn by selling it. We could see some people performing their specific folk dances, shawl weaving, Gujarati Patola, clay work, vegetable print bedsheets and many more. It is a good place to spend the day. You can find a great variety of Rajasthani dress materials, silk stalls, skirts, payjamas, mojdi and chappals and what not. Visit local market to get a big deal. Shopping at Udaipur is also a completely different experience. You can purchase loose kurtas, dhotis, skirts or traditional Indian wear from markets near Jagadish temple or internal local Bazar. Jewellery is also an exclusive thing to purchase from Udaipur or Jaipur. You can get exclusive gems and stones from the local bazars. Bedsheets and bedroom sets with a Rajwadi looks are just splendid. The most lively place in Udaipur. Out of the seven lakes in the Udaipur city, we could see only 3 lakes of which the most beautiful and full of water was Fateh Sagar Lake, where you can enjoy boating too. It reminds of Juhu chowpaty of Mumbai or M.G.Road of any hill station. We spent a lovely time walking by the lake and having some coffee. Day and tour ended on this lovely note. You can get Hotels from budget, economy to lavish stay. Ramada Udaipur Resort, Trident can cost you more than 10,000 Rs a night, whereas Thamla Haveli, Mewar Haveli can cost around 3000 to 5000 rupees depending on season, whereas occupancy for economy class is available from 700 Rs to 1500 Rs, a night. Prefer to take a lake side Haveli to enjoy the richness of Royal Rajasthan. You can bargain or ask for discount during off seasons, which is from April to September. It is going to be too hot during these days. Jaipur is the state capital and very well connected with train, bus and air. Same is the case with Udaipur. We preferred hiring a cab from Jaipur with pre-booking through a personal acquaintance. Through the cab we traveled rest of Rajasthan, left the cab at Udaipur and took train to our city. Cab services are either through agencies or personal car owners driving. We preferred to find an acquaintance and booked a relative with a Swift Dzire car to travel entire Rajasthan, to take care of security perspective. After Diwali is the peak season here. Both Indians and foreigners flock up Udaipur and Rajasthan. This season lasts till March and summer is not at all the right time to visit Rajasthan and Udaipur. All the places to visit in Udaipur are just travelers delight. I hope my travel to Udaipur is helpful to readers in some way. I tend to write complete travel experience to be helpful to provide total travel guidance to readers.